California was not always the Golden State. 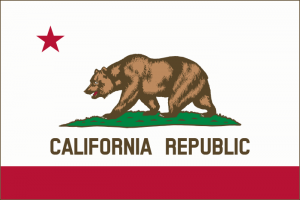 Back in the olden days before tons of Americans flocked west to find riches and make new lives, California used to be home to many bears and was known as the Bear State for that very reason. However, the bear population experienced drastic decreases as the state boomed. With hardly any bears around, California dropped its first moniker. One out of every eight United States residents lives in California. People living in a certain other southern state may call their homeland big, but when it comes to size, California is king. The Golden State remains the nation’s most populous state with approximately 40,000,000 residents. That means more people live in California than in all of Canada. California boasts the lowest and highest points in all of the continental U.S. You can reach 282 feet below sea level in Death Valley or ascend 14,494 feet on Mount Whitney. And you can accomplish this all in one day, if you so desire! Here are some of the things that were invented in California: the Barbie doll, blue jeans, Apple computers, the nicotine patch, the Egg McMuffin, theme parks, the wetsuit, Pet Rocks, Dashboard Hula Girls, and the popsicle. California contains both the largest tree and the tallest tree in the world. The General Sherman Tree in Sequoia National Park is the former. The identity of the latter, a coastal redwood, is confidential for preservation purposes. Some of California’s many plants are thousands upon thousands of years old. The Bristlecone pines in the Sierras are an impressive 4,600 years old, but the Mojave Desert creosote bush is just plain ancient at an astounding 43,000 years. The legal team at The Law Firm of Joseph H. Low IV hopes that you learned something new and interesting by reading this blog!